“The Lucky Specials,” Discovery Learning Alliance’s latest feature-length film, was presented in private screenings in cities around the world, in February and March 2017. 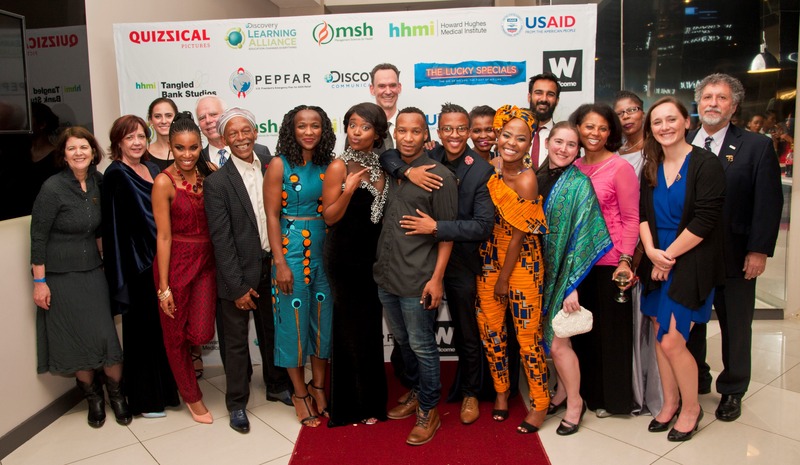 The largest screening held in Johannesburg, South Africa on February 17 saw the cast, crew and celebrity and notable guests in attendance, with the film ending with a standing ovation. A similar screening took place just outside of Washington, D.C. on March 21, where the film again received critical acclaim. The film is slated to entertain millions in southern Africa and around the world – beginning with television broadcasts in May and June – with its dynamic storyline, new brand of African music and unique look at the global epidemic of tuberculosis (TB). Screenings also took place in Mozambique; Lesotho; Zimbabwe; Swaziland; Kenya; Durban and Somkhele, South Africa; London, England; and Geneva, Switzerland. 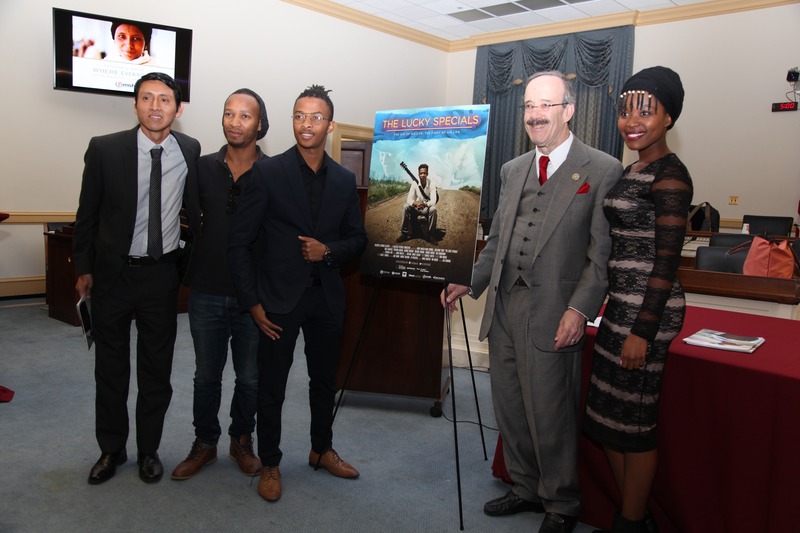 Additionally, a screening hosted by Management Sciences for Health for congressional staffers on Capitol Hill on March 23, during which Representative Eliot Engel of New York gave remarks. 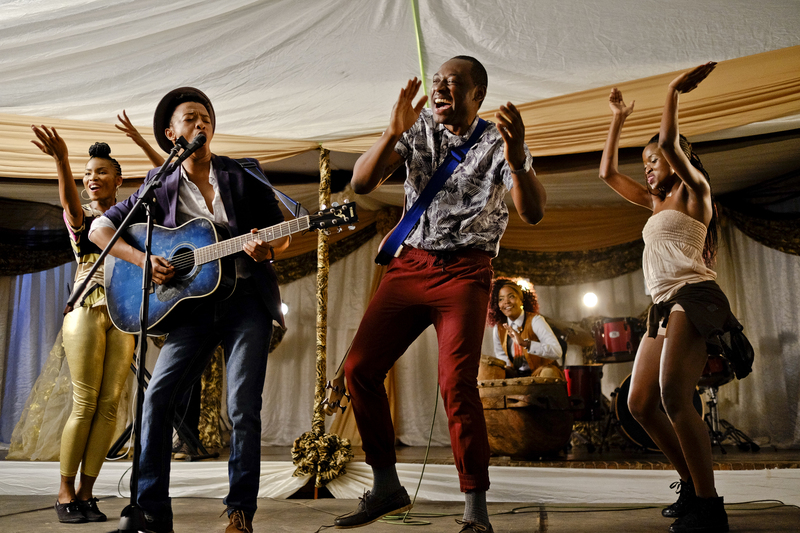 About the film: The Lucky Specials are a cover band in a dusty town in southern Africa. Mandla (Oros Mampofu) is a miner by day and plays lead guitar for The Lucky Specials by night. He dreams of making it big in the music industry. When tragedy strikes, the band, Mandla and their friend Nkanyiso (Sivenathi Mabuya) struggle to hold everything together. To discuss dissemination of “The Lucky Specials,” contact Regan Alsup. Click here for photos from “The Lucky Specials” Johannesburg event.